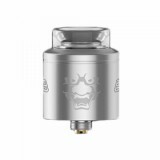 Geekvape Tengu RDA, with honeycomb side airflow inlets design and Together with concealed airflow adjustment system will enhance the flavor for your vaping. An innovative deck, it provides you an easy way to build coils and cottons. Delrin and PMMA are available for your different demand. You cannot miss Geekvape Tengu RDA, which is in a beautiful and ergonomic design, if you are a RDA lover. With an innovative deck, it provides you an easy way to build coils and cottons. Adopting honeycomb side airflow inlets design, Geekvape Tengu RDA will ensure you a smooth and even controllable airflow. 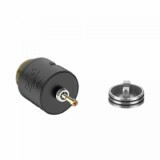 Together with concealed airflow adjustment system, it will enhance the flavor for your vaping. 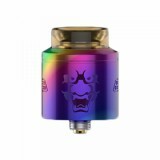 Moreover, it is compatible with BF Squonk mod, and there is no leakage problem to use it. 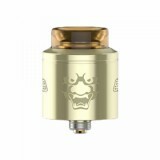 Delrin drip tip and PMMA drip tip are available for your different demand. 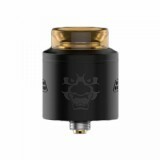 Come and get one Geekvape Tengu RDA for you RDA vaping. 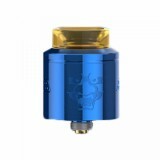 • You may have interest in other RDA like Blitz Musketeer RDA Atomizer. 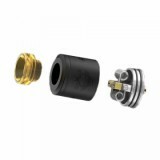 • You may need accessories like coils.